RoboCup is an international initiative that fosters research in robotics and artificial intelligence, on multi-robot systems in particular, through competitions of RoboCup Robot Soccer, RoboCup Rescue, RoboCup@Home, RoboCup Industrial, and RoboCupJunior. 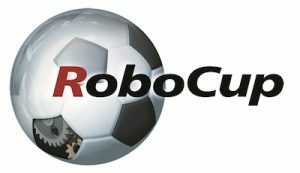 RoboCup currently includes a number of different robot soccer leagues that focus on different research challenges. The RoboCup Standard Platform League is a RoboCup robot soccer league, in which all teams compete with identical robots. The robots operate fully autonomously, i.e. there is no external control, neither by humans nor by computers. The current standard platform used is the humanoid NAO by SoftBank Robotics.